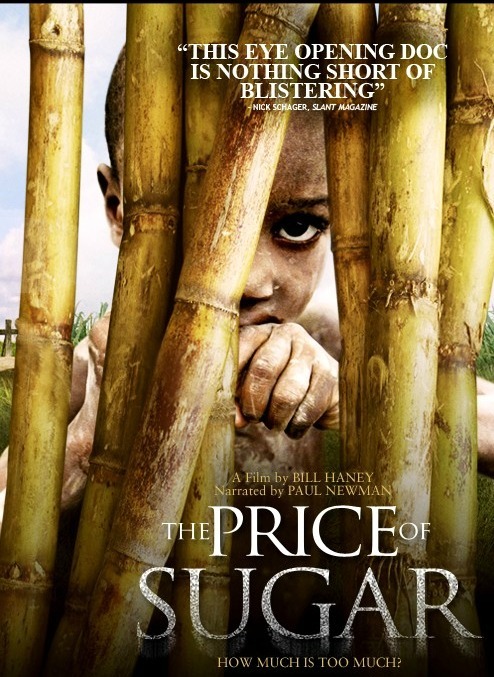 The Price of Sugar is a 2007 film directed by Bill Haney about the exploitation of Haitian immigrants in the Dominican Republic involved with production of sugar, and the efforts of Spanish priest Father Christopher Hartley to ameliorate their situation. It is narrated by actor Paul Newman. The documentary shows the poor working conditions in the sugar cane plantations, and political control exerted by the Vicini family to stifle efforts to change the situation. While the documentary highlights the efforts of Father Christopher Hartley to bring medicine, education, and human rights to Haitian workers, it also shows the widespread resentment of his actions held by Dominican people. This entry was posted in Diaspora, Dominican Republic, Economy, Education, Film, Government, Haiti, Haitian, History, News by admin. Bookmark the permalink.